I have actually been blogging for a longer time than this current blog shows. I first started blogging around 2008 or 2009, I can’t really remember, and in those days, my posts were mostly about my ‘swinging’ adventures as a single. Toddly Mummy signals a major change in my life as I entered into parenthood, and it first started off as a way to keep my overseas relatives updated with news of EV, who’s the first of her generation on both her parents’ side. So you can imagine, she created quite a stir when she was born. Why ‘Toddly Mummy’? Firstly, I’m a mummy, of course. I also feel that as a mummy, I’m always learning on the job. I’m no expert and I have to ‘toddle’ my way through parenthood every day. So you can say that this blog is my digital diary of not only my parenting journey, but also of EV’s and AA’s experiences of growing up. From the fun to the funny, to the sad and angry. From the learning we do at home to the adventures we embark on. Of course, having a journalistic background also means I do itch to write about things other than parenting and kids, but related. That’s where the reviews come in. If anyone wants me to do a review, I do insist that it’s relevant to me or EV or AA first and foremost. Afterall, this is a mummy’s blog. Other than that, it depends on my personal interest in the item and whether I have the bandwidth to do anything. Having my blog also allowed me to meet wonderful fellow mum bloggers like Shermeen, who introduced me to this Writing Process Blog Hop. Mum to a boisterous 2 year old boy, she spends her day marketing and promoting the accounting profession. She writes a lot about how she find ways to balance her life as a FTWM, as well as her challenging journey to motherhood. I really like the name of her blog Meeningfully, which is meaningfully adapted from her name. I’m doing some minor retouching to the blog’s overall look. Nothing drastic like a whole blog makeover. In terms of writing, I’m working on some reviews, as well as a couple of new posts about my parenting experience. It’s going slow and steady. On the home learning front, EV, AA and I are working more with cardboard. Currently, we are transforming a cardboard box into a farm. I don’t think what I do is different from other parenting blogs where I share about our experiences as a family. What is different and unique is that it is about our experiences and no one elses. Because I like writing. Because I like to express myself in words. I started my blogging journey with a blog that’s about only me, where I go to pen thoughts and frustrations that I have and challenges that I face. That journey has now evolved to include more people other than me, my family, and it is similarly filled with our thoughts, frustrations and challenges. Some quiet time at the library doing my writing. I’m a FTWM, so I would usually blog after the kids are asleep while on my bed, or when I’m commuting. I usually work on drafts, and take a few days to craft out the actual posts. Sometimes, when I have the rare opportunity to have some me time, I like to head down to a library, and with a cup of bubble tea and some snacks, I'd do my writing there. This Writing Process Blog Hop is a travelling blog tour that takes place on Mondays. Next week, Wai Wai from PeiPei.HaoHao will be joining this blog hop. Waiwai is a full-time-working mother to a 6-year-old girl and a 5-year-old boy. 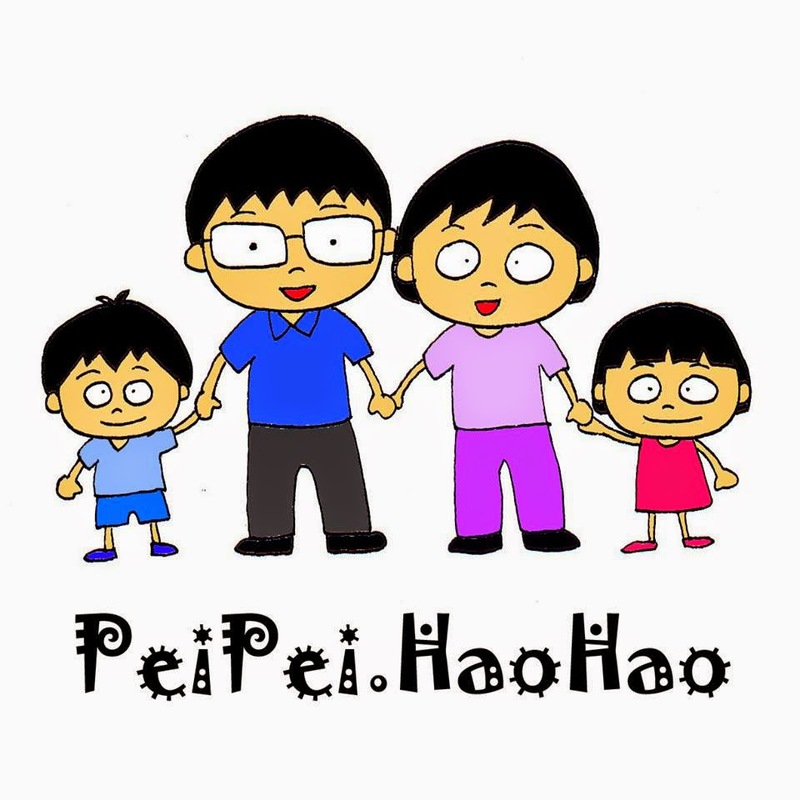 She blogs about her parenting journey, DIY crafts, simple cooking and fun activities at PeiPei.HaoHao. I always thought toddly had something to do with toddlers. :) oopps! Thanks are agreeing to do this blog hop too! Hope we have more opportunities to connect.